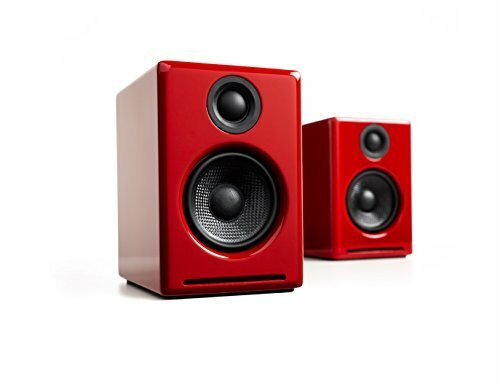 The Audioengine 2+ is the new standard for computer audio and these small, but high-performance speakers are the perfect upgrade for your computer. The award-winning Audioengine 2 speakers just got better. With a built-in digital-to-analog converter (DAC), the Audioengine 2+ allows you to send high-quality digital audio direct from your computer's USB port. Works with: Turntables with built-in or external preamps iDevices and all music players Desktop computers, laptops, notebooks TVs with an analog output CD and DVD players Videogame consoles All products with 1/8" mini-jack or RCA outputs, including the Audioengine B1 Bluetooth Receiver! The bass was teased from the A2+ with some clever acoustic and electrical design without using any digital signal processing or fake bass boost circuits.